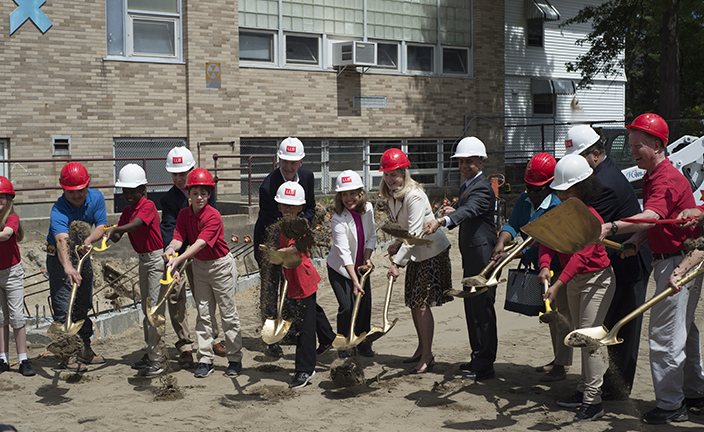 June 10th, 2016 A groundbreaking for an addition to the Community Preparatory School in Providence, Rhode Island was held today. The new 4,500 sf building addition and campus expansion will provide the school with much needed administrative offices and student workspace. Kathy Bartels, Patrick Torborg, and Bethany Burns joined the students, faculty, alumni and friends of the school for the event.